In my first few years of motherhood I felt like Saint Peter must have as he began to drown in the sea. I had boldly stepped out of the boat to follow Christ into my vocation as wife and mom but something wasn’t right. To paraphrase the Christian band Jars of Clay, I wasn’t afraid of drowning, it was the breathing that was taking all the work. And I was exhausted. I was also confused—where did this anger and anxiety come from? Here I was living out my vocation! I was embracing my cross! But daily, hourly, I would run through the litany of all that was wrong with me and it was an unending one: I must be a horrible failure of a mother, stupid, worthless, ugly, and even an embarrassment of a wife. My pain was without relief. I was awash in untreated postpartum depression, and let me tell you, PPD struck me as an enemy would strike and punished me cruelly. The Prophet Jeremiah proclaimed that Israel’s wound was incurable. How astonishing then that God, in His mercy, healed their wound just as He pulled Peter out of the water and just as He brought healing to me. My bruise was grievous but God healed me through the use of prescription anti-depressants, rest, a community who cared for my family and me, and the understanding that my children, marriage, and I deserved to be healed. You are not unworthy of help. 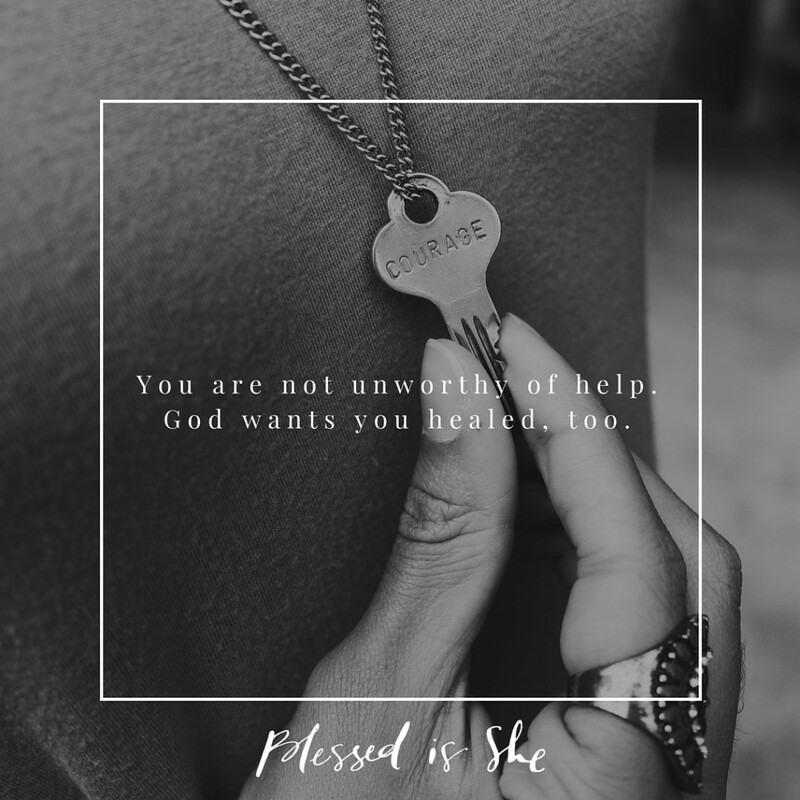 God wants you healed, too. You are not unworthy of help. God wants you healed. If you are struggling with depression or anxiety I pray that you will seek help. I pray that you, too, will be pulled out of the water and healed. Ask for help. Look for help. Don’t carry this cross alone.